The cost of getting lean: Is it really worth the trade off?– This article is a little lengthy, but I think it paints a really good picture on the work it takes to be at various body fat percentages. It includes helpful images and graphs that lay out the work involved for each body fat “stage’ along with the benefits and costs associated. I for one can say the leaner you want to be the more work it is. However once you make it a routine it becomes a lot easier to maintain. Is a gluten-free diet for you? The hidden downsides of the food craze– I have been eating gluten free for a little over 2 weeks now based on a recommendation from my new holistic doctor, so of course when I came across this article I had to take a gander. Essentially it tells you that gluten free food is not necessarily healthier, a cookie is still a cookie. If you are going to try gluten free make sure to focus on healthy foods like veggies, fruits, and lean protein. I have yet to noticed a big difference in my body from being off gluten, but have another 2 weeks on my test to see. 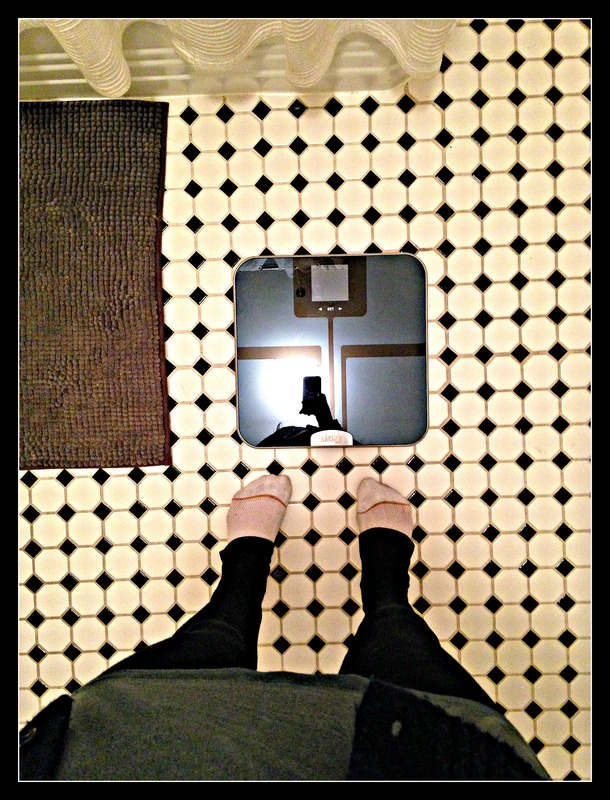 For most of my life I had no relationship with the bathroom scale. I never monitored my weight, I had no desire to. Although I have always dealt with body issues and weight problems, I never could bring myself to step onto the scale and face the reality check that awaited me. Even at my heaviest weight when I decided for the first time I needed to make a change, I could not bring myself to look at the number. Like a coward I made my mother look at the scale for me on the first day of my first attempt at losing weight 9 years ago. For the next 5 months I dedicated my days to working out and was convinced that was all I needed to do in order to lose weight. Why did I need to know what that number was? I worked out 5 days a week, but proceeded to lose very little. Of course it is hard to track progress without some sort of tool so if I was not going to step onto the scale I would have to go by my pant size. After continuing to stay about the same size months in I just accepted this higher weight was my destiny and that I had no control over my body. I would have to learn how to accept and love the larger me. Fast forward to over 4 years later and here I was, 26 years old and still feeling a hatred for my body. I would have weekends where it was hard to get out of bed and face the world. Putting pants on made me sad and depressed. Going out with friends left me feeling low because I was not nearly as thin as they were. I hated feeling like I could be happier, but feeling powerless to get there. It was then on New Year’s Eve 2010 I made a decision. For the first time in over 15 years I stepped onto the scale and decided I could in fact make a change. For the next 6 months the scale became my best friend. I would exercise, eat well, and the next morning I would wake up so excited to see what my new friend had to say to me. It was like Christmas, I could sometimes hardly sleep in anticipation of seeing what my hard work would pay off to be. Once I hit weight maintenance my relationship with the scale started to change again. It became more of a love/hate relationship. Some days it would reward me, while other days I felt punished. After a weekend celebrating out with friends I would cringe on Monday morning to step onto the scale. Was I going to see a number I liked or one I hated? It took me a while to be able to learn my body and become in tune with my weight. I would fluctuate 5 lbs any given month, but for 2 years I stayed within my designated range. I started to accept my friend for what it was, matter of fact. Some days it would make me feel good other days discouraged, but overall I worked to not let it control me. It gave me information and it was my job to interrupt it for myself. About 5 months ago the scale and I started to have a fight. The number on it started to slowly inch up. Why would my friend start to betray me? Nothing had really changed. My eating habits and workout routines were the same, maybe a little more weight training. Could it be muscle? Was it something else? Why would one day my body no longer do what it has been doing for years? My pants all still fit about the same, so why would my weight be up so much? This has been my new struggle as of late. For the first time in 4 years I feel I have no control over my body. When you spend so much time learning what your body is telling you and how to make it feel good, how do you handle it when your body revolts? First I need to trust that I am doing everything right. I am working out daily and eating healthy, so why does a number matter? For the first time in 4 years I have decided I need to take a break from what once was my friend and confidant, the scale. Let me say this so far has not been easy. I continue to try, but yet my friend finds its way back into my life every so often. I guess these things take time. A date with my scale once every couple weeks is far better than my once daily check in. With time maybe I will learn to get rid of my co-dependent friend. Until then I will have to learn that a number is just that a number. What 200 Calories of Everyday Food Looks Like– I for one find visuals to be very impactful when trying to learn or understand something new. When I came across this article talking about a new app Calorific where it shows you what 200 calories looks like across various foods I had to go check it out. Learning what proper portions should be took me a lot of time when I started my weight loss journey. This app quickly shows you exactly what 200 calories looks like across all of the different foods groups like fruit, vegetables, breads, meat, dairy, and sweets. In order to get more features with the App you have to pay, but I think the basic info it has is pretty handy to take a look at. The Quickstart Guide to Quitting a Bad Habit– I think this article has some great pointers on how to quite bad habits. I for one have quite a few in my life, socially smoking cigarettes, diet soda and artificial sweetener, and learning to adopt healthy eating and exercise into my daily life. I can say it is not easy at first, but once you get into the routine it becomes second nature and is a lot easier to manage. Getting All Hot and Sweaty From Barry….. Yes it is true. For the last few weeks I have been getting all hot and sweaty from a new man in my life, Barry’s Bootcamp. The first time I remember hearing about Barry’s was while reading my dirty little pleasure US Weekly magazine. One of the segments the magazine features from time to time is where they showcase celebrities doing regular activities and try to convince us how normal they are. Well this was one of those segments. I cant remember which celebrity was coming out of Barry’s Bootcamp in LA, but I do remember being impressed by her and thinking to myself how I wanted to try Barry’s to workout. Yes the magazine had sold me, if it was good enough for her why not me? Slowly I started seeing more and more buzz on this new workout. It was starting to garner the hype Soul Cycle had, but alas it was only in NYC and LA. So when it came to San Francisco a few months ago I knew I was going to have to give it a try. Now I am going to be real for a minute. I hate bootcamp workout’s. First off I hate being told what to do, then you combine that with someone yelling at you, all while doing something hard that my body does not want to do. Yep not my favorite. In my mind this is exactly what Barry’s was going to be. So the idea of doing Barry’s was not because I really wanted to try the workout, it was because I wanted to see what the hype was about. When I made my way to Barry’s for the first time I was impressed by the facilities, it was new sleek, and just gave you a feeling of being part of the elite. They are located right across from the ballpark, so getting there early morning to park was not a huge hassle. The class was packed with a mix of men and women, all of which were extremely attractive and fit. San Francisco in general is a young and fit city, but the people here were the cream of the crop. The class was broken out into 4 segments, all about 10-15 minutes in length. You have the option to start either on the floor with weights or on the treadmill. I of course picked the treadmill as I wanted to end with weights. All of the segments were focused on high intensity workouts. You would go all out, then break for a minute, then go all out again, and so forth. The first segment was focused on sprinting and by the end of it I was already sweating a ton. Then we swapped with the group on the floor and started with the weights. This particular class was focused on arms and back, so all of the weight exercises involved those muscle groups. Again it was all about the high intensity reps. After the weight segment was complete we traded again and I went back to the treadmill. This time it was focused on hills and taking the treadmill into dynamic mode where you move the machine. I have to say it was HARD! There were moments where I almost had to stop, but of course being super competitive I pushed through. Next was back to the floor to wrap up weights. By the end of class I felt as worked as I do after an hour long spinning class at full intensity. I loved the combination of cardio and strength training. To me it is the perfect combination! I have now gone to Barry’s a handful of times and every time I leave with a smile on my face and exhausted. Did I mention they also have really amazing bath products in the locker room! It makes getting ready there quite enjoyable. The one downside of Barry’s is the price. It is about $30 a class, which for me was probably the main reason I had not already tried it. But low and behold, my new lover Class Pass offers Barry’s Bootcamp. 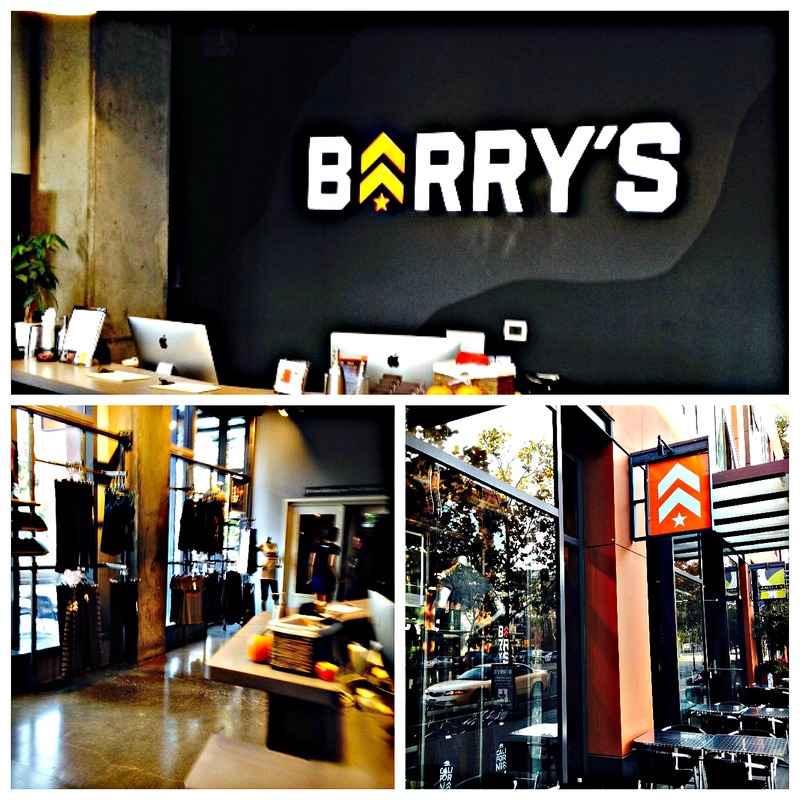 I highly recommend trying Barry’s for anyone who wants a group fitness class that is different and will work your body!. I am already looking forward to going later this week. Revised Food Labels Still Won’t Tell Whole Story– I for one am really excited about our new food labels. Although I agree with the article, there is still quite a bit of room for improvement, it is at least a step in the right direction. I personally think the bigger challenge is not just giving people more information, but educating them on what it means. Like how many calories is needed for an individual’s body to be healthy. I love and adore Fall. There are so many reasons why. One is due to the new abundance of fall squashes and pumpkins. 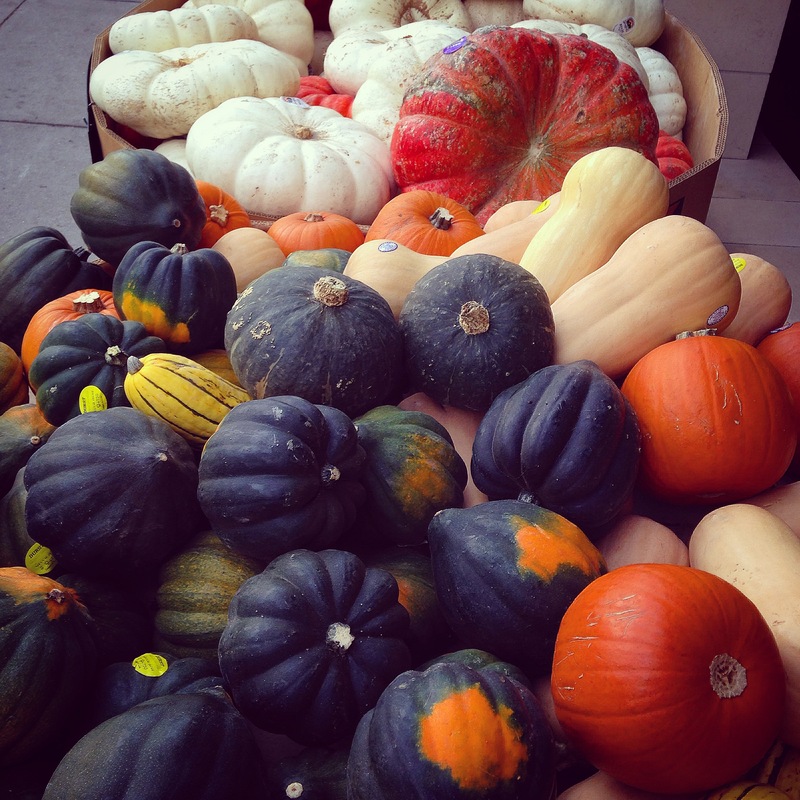 There are so many types and varieties or squashes. Roasting them is so easy and they all taste amazing. They can be sweet, savory, simple, or decadent. The first time you go to cook one of these big guys it is intimidating to say the least. Once you learn the tricks of the trade you wont be able to stop! My favorite type right now kabocha squash. If you have never tried it I recommend you go out and get one this week! Nothing quite makes an October Saturday morning like being all bundled up and walking to your neighborhood coffee shop through the morning fog. 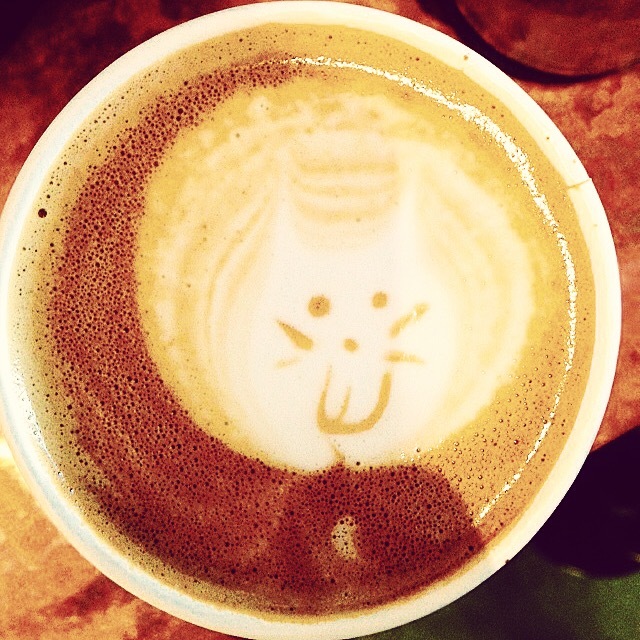 Upon ordering my almond milk latte I found a smiling cat looking back up at me. It is funny how something so simple can really make you so happy. My absolute favorite day of the year is Halloween! I use the whole month of October as a tribute to the 31st and try to surround myself with scary movies, pumpkin flavored anything, haunted houses, and all while wearing cozy sweaters. On this spectacular night it was a slumber party at one of my close girlfriends house. 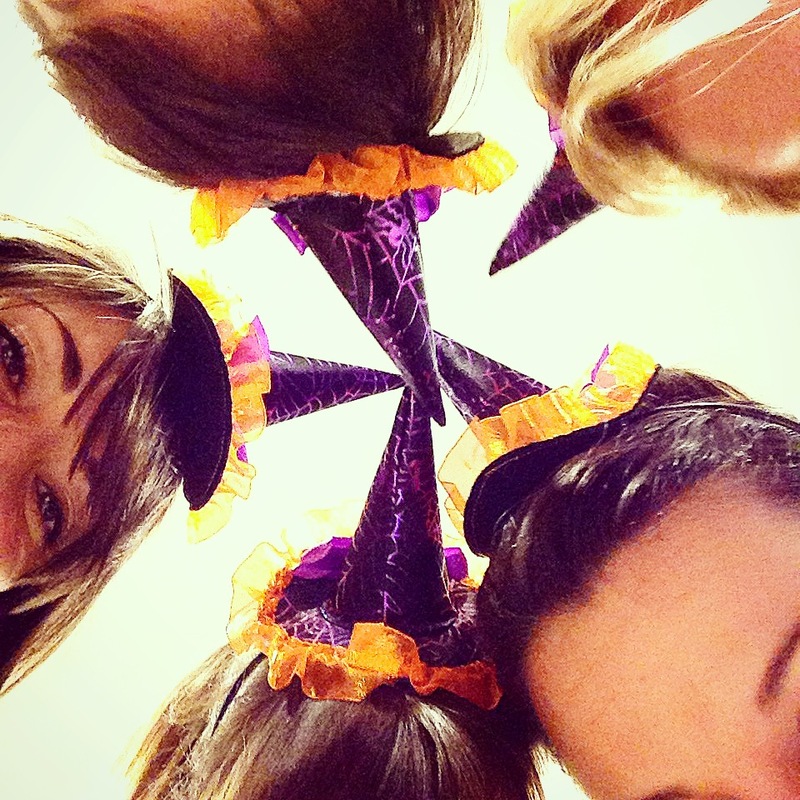 We all wore witches hats, drank wine, cooked, and watched The Craft. All in all amazing! Part of getting ready for a holiday is engulfing yourself in everything it has to offer, which includes decorating. It is nice to transform your home into a story, fairy tale. 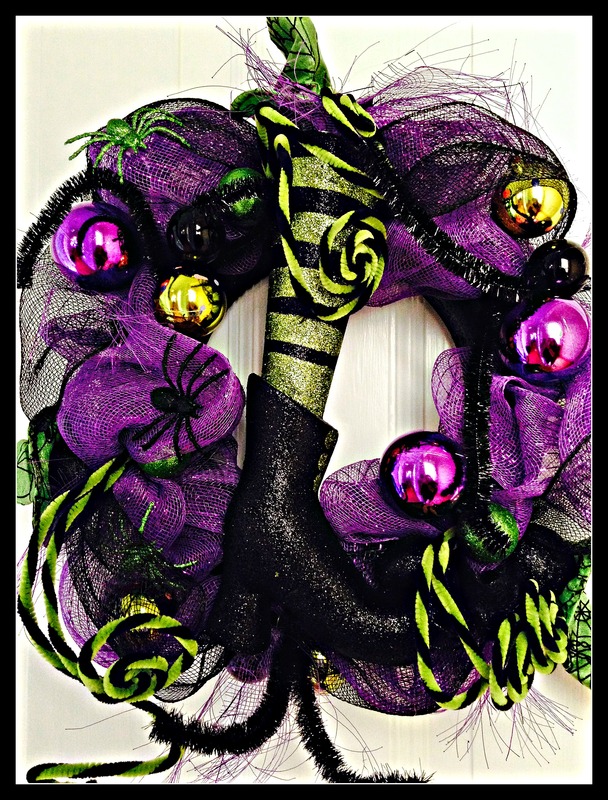 I bought this wreath and am obsessed with the bright colors, sparkle, and fun of it. Part of decorating is also doing it for others to enjoy. 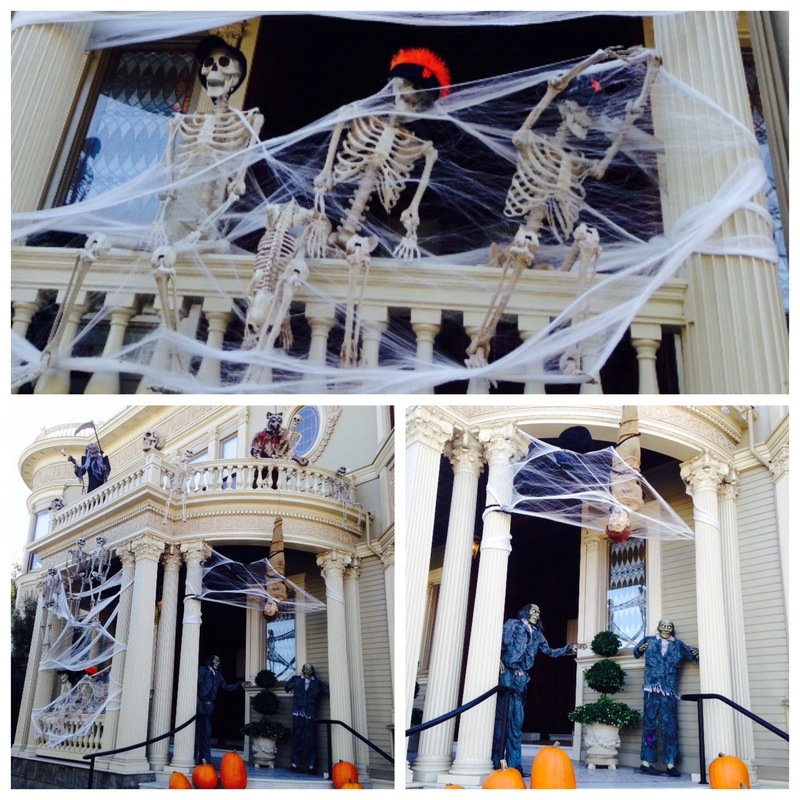 I came across this house in Pacific Heights coming home from the gym last Saturday morning. I immediately pulled over and had to capture it. Pictures do not do this place any justice. Nothing is better then close girlfriends, especially those who know you so well. I have 3 amazing friends who brought me a homemade center piece for my annual Halloween party. 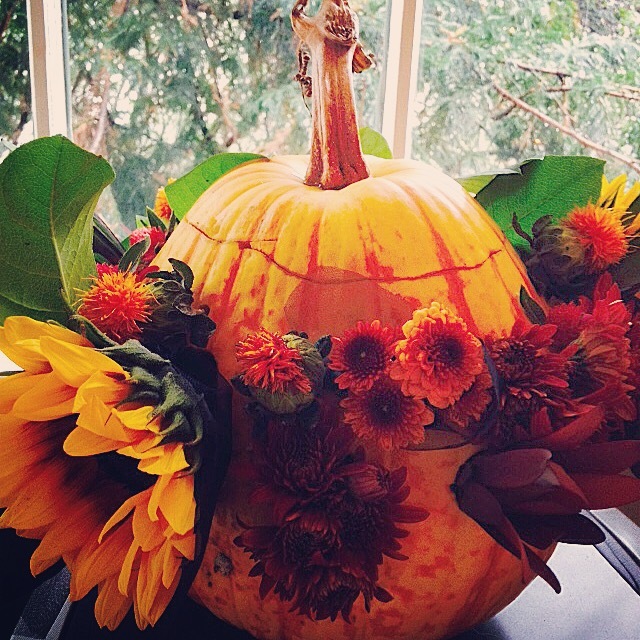 The pumpkin even came from the pumpkin patch in Half Moon Bay. It is one of the most amazing and thoughtful gifts I have ever received. Nothing but love! This year for Halloween I ended up dressing up twice. Once for an annual karaoke event called Scareokee where I decided to channel Lady Gaga for singing inspiration. 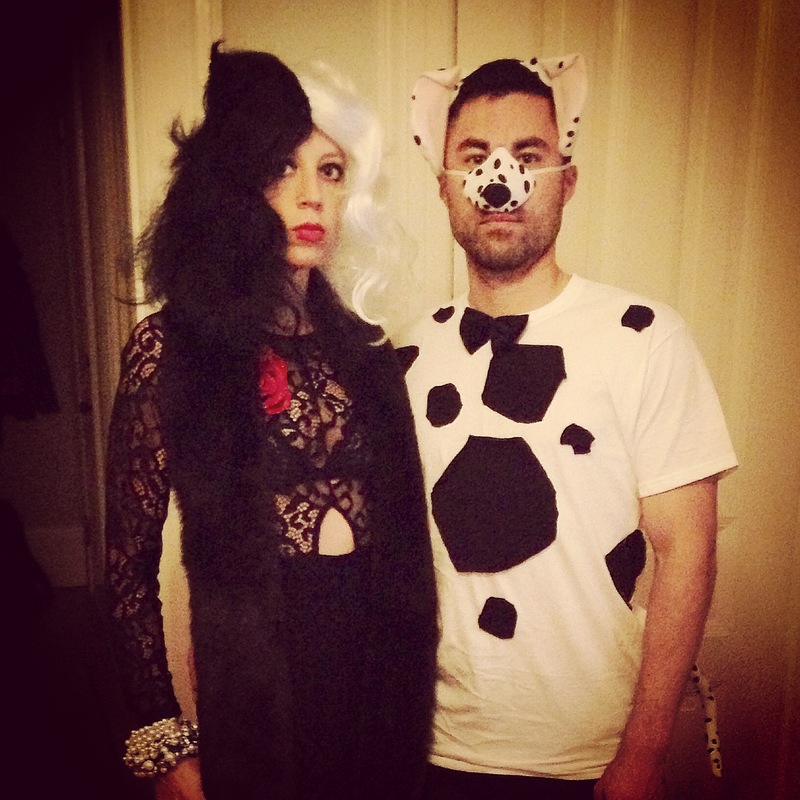 The other was for my annual Halloween party, Cruella Deville anyone? I love transforming myself into another person for an evening. I like to take on a whole new persona and really get into character. I also decided now being over the age of 30 it was time to embrace this body I work so hard for. I never thought I would be brave enough to wear a leotard out. I remember seeing girls wearing them at parties and thought if only I had the body, the confidence, and the self esteem. Although these feelings may still be with me now, I have found it is important to just let go and let yourself be free. Even if it is for one night only.